Learn how to make whisky flavored toothpicks with this easy to follow tutorial! Small bowl for soaking the toothpicks. 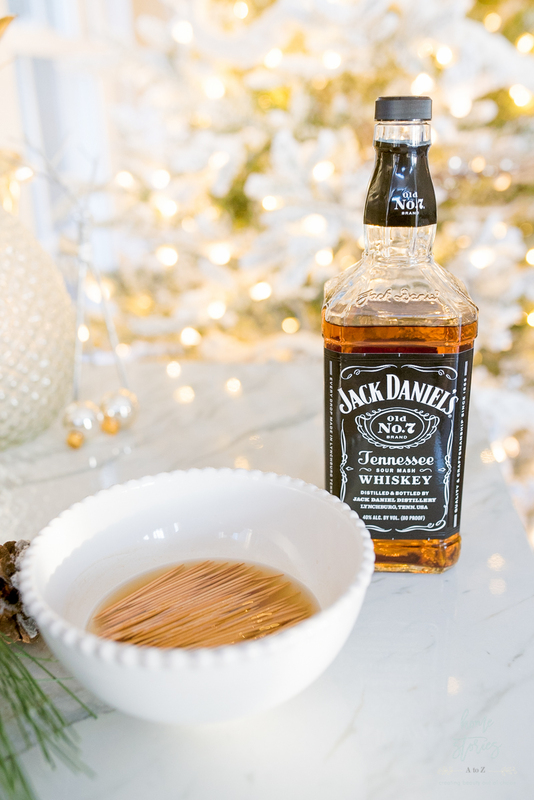 Place the toothpicks in a shallow bowl and cover the toothpicks with whisky. Add a few drops of food-grade essential oil of your choice. I used cinnamon. You could use peppermint, orange, lemon, or a combination of flavors. Cover the bowl and allow the toothpicks to marinate in the mixture for 48 hours. Remove the toothpicks from the alcohol and place on paper towel to dry. Allow the toothpicks to completely dry. 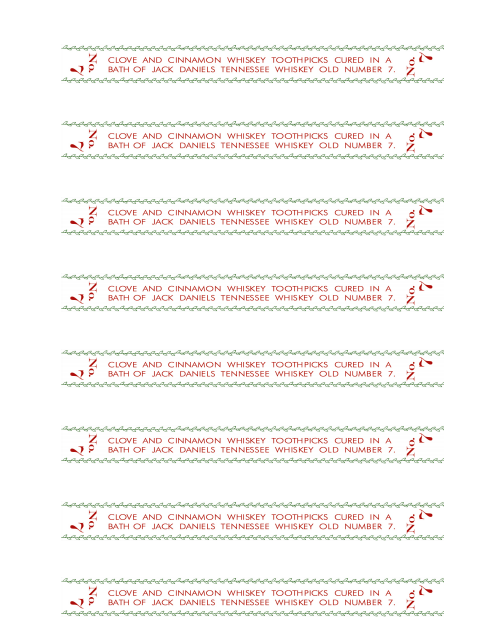 Print out the Flavored Toothpick Printable below if desired or create your own. I used PicMonkey to create the label and then used Word to size and print my labels. Once dry, fill vials with whisky flavored toothpicks. Cut printable to size and use spray adhesive to attach strips to the vials. Enjoy! That is all there is to it! They really couldn’t be any simpler to make. 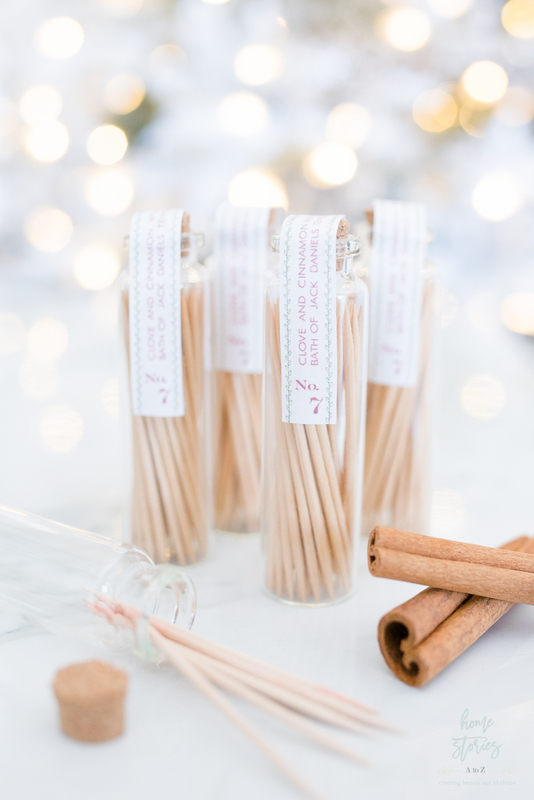 You can make different flavored toothpicks using various alcohol and essential oil mixtures. I think peppermint would be delightful! 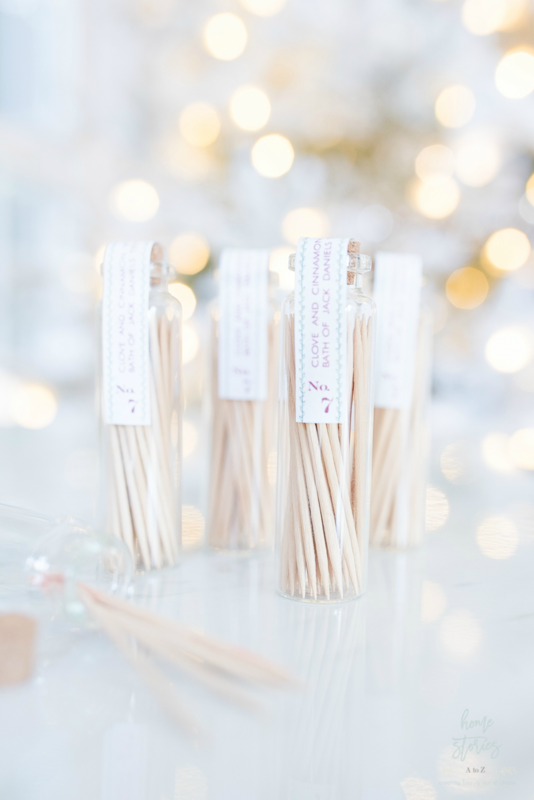 One pack of standard toothpicks makes approximately four full vials of flavored toothpicks.